It took me two evenings in total and I was surprised how successful my first dabble at crocheting was! I made the white bunny first. If you look closely, you can see it’s a bit larger than the mint green one and somewhat wonky – but all in all, I’m really pleased with how it turned out. 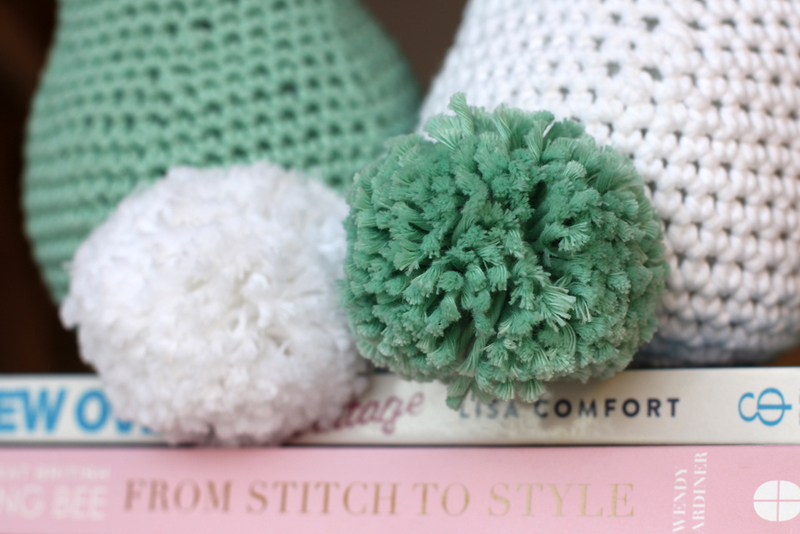 I chose the spearmint green Shiny Happy Cotton, as I love pastel colours in my home. The wool is lovely and soft to touch, and has a silky shine to it. 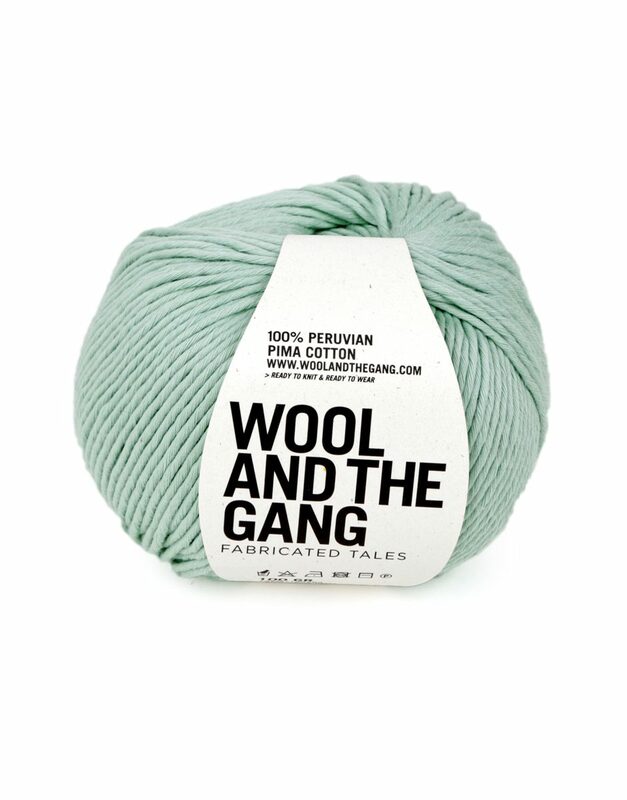 It’s perfect for those amigurumi-type projects, as it’s absolutely lint-free. 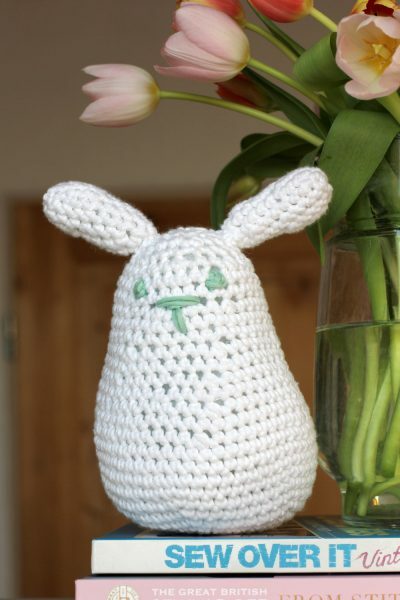 I always wanted to try amigurumi crochet toys, but thought it was super difficult. 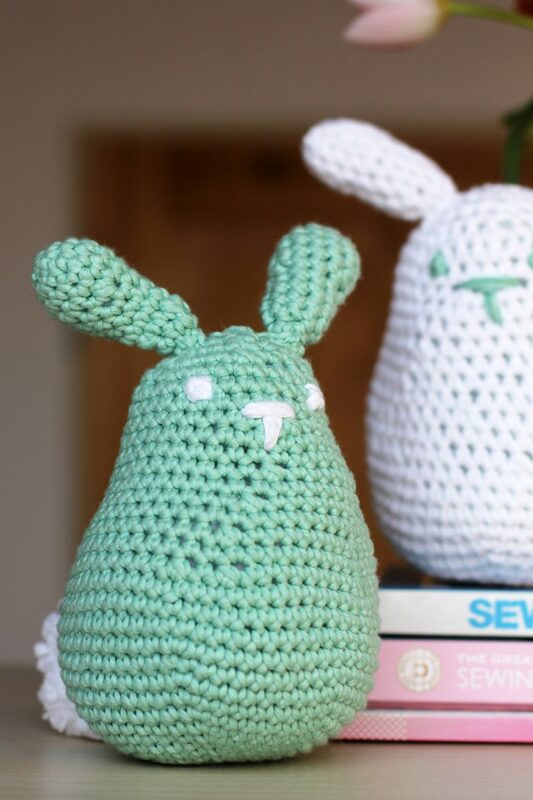 After finishing two perfectly cute bunnies with no prior experience whatsoever, I might actually attempt this some time soon! 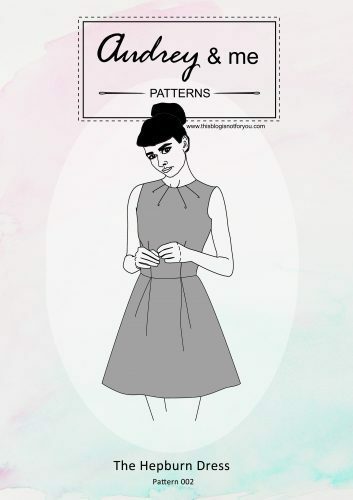 The kit is rated ‘intermediate level’. 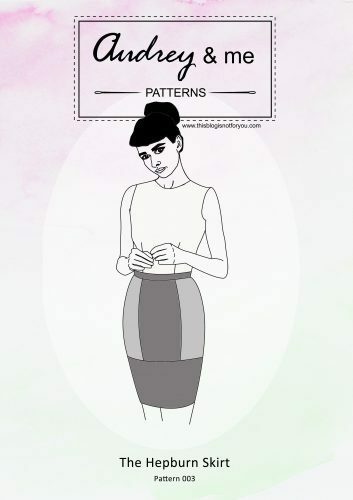 The instructions include illustrated basic crochet techniques, which was really helpful. The only thing I had to look up was the magic loop technique. I do have quite a bit of experience with knitting, so learning to crochet wasn’t too difficult. But in my opinion, even an absolute knitting and crocheting beginner could tackle this. 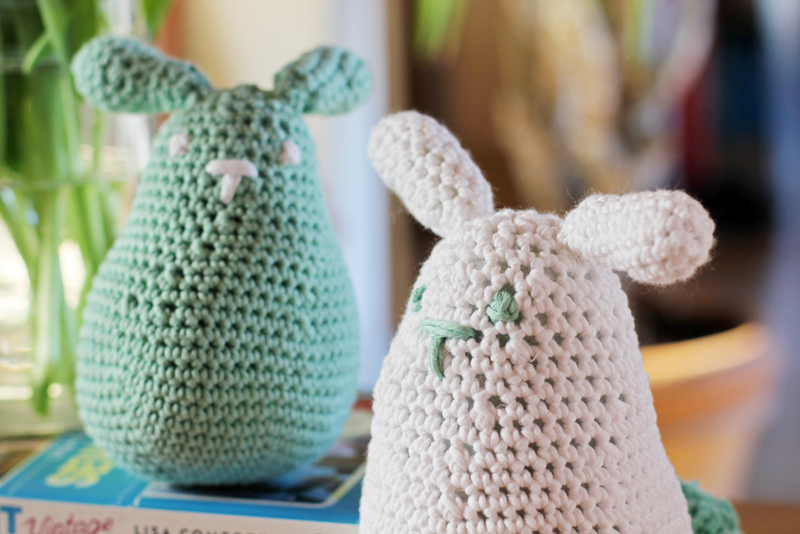 The only thing I struggled with at first was tension, which is why my bunnies are different sizes. 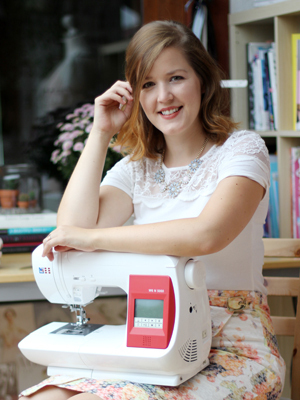 The kit includes one ball of Shiny Happy Cotton (colour of choice), the ruby rabbit pattern, a yarn sewing needle and a WATG label. 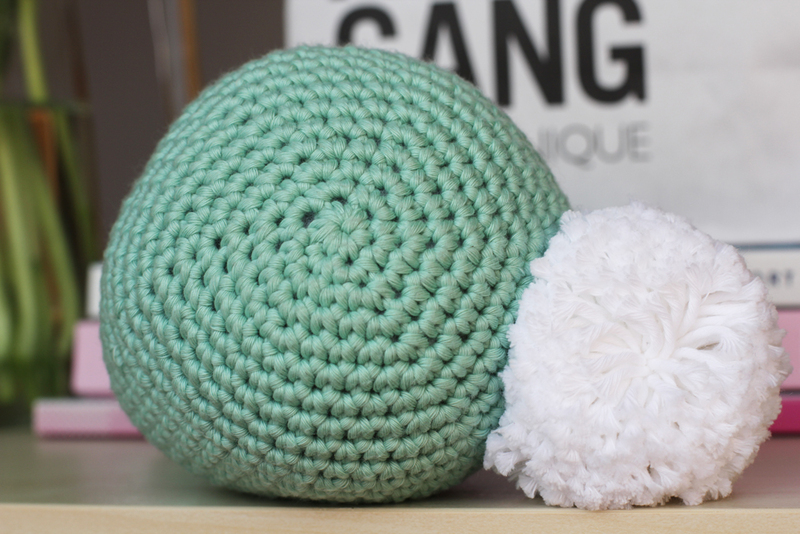 Optionally, you can order the required 4.5mm crochet hook with it and a different colour yarn for the eyes. 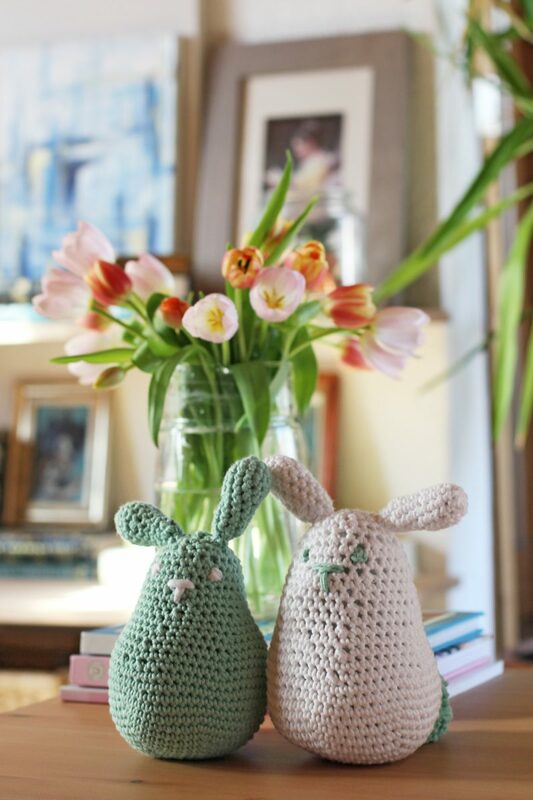 I used less than one ball of yarn for each rabbit, and had more than enough left to use for the eyes and nose. So if you order two balls, you get two rabbits out in the end. You’ll need some toy stuffing or yarn/fabric scraps to stuff the rabbit. I used stuffing from an old pillow. 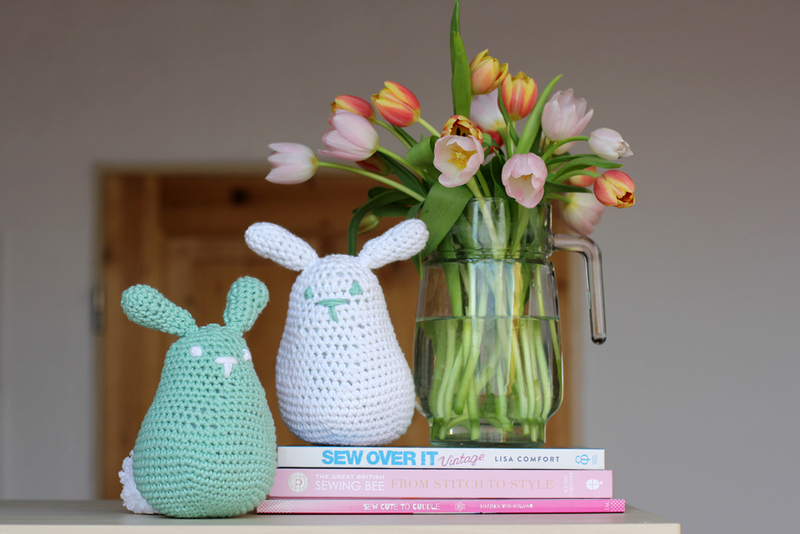 WIN A RUBY RABBIT KIT THIS EASTER WEEKEND! 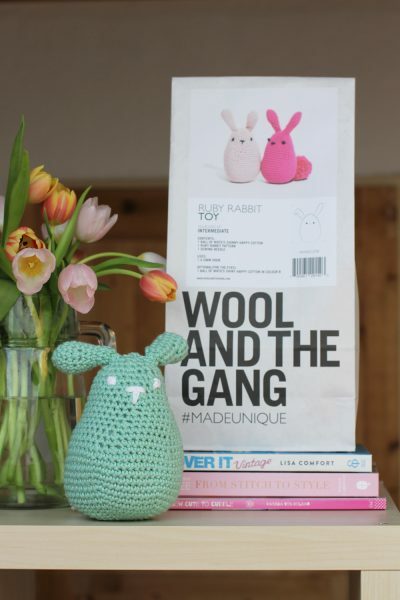 To have a chance at winning a Ruby Rabbit kit in your colour of choice, just head over to Woolandthegang.com to check out the color options. Leave a comment below, letting me know which one you like best and head over here to sign up to the WATG newsletter! The giveaway closes on Tuesday 18 April 2017 at midnight (UTC) and I’ll annouce the winner shortly after on the blog. Also, you can use the promo code “EASTERX” to get 15% off until next Tuesday! Please note: A winner will be selected at random from all entries entered before midnight on 18 April 2017 and the winner will receive the prize described above. There is no cash alternative, and your prize is non-negotiable, and not refundable. If the prize isn’t claimed, another winner will be selected at random. Such cute bunnies! This would be a fabulous prezzie for a friend who’s pregnant. I’d go for the ultra violet colour (with a tough choice between that and the eagle grey!). 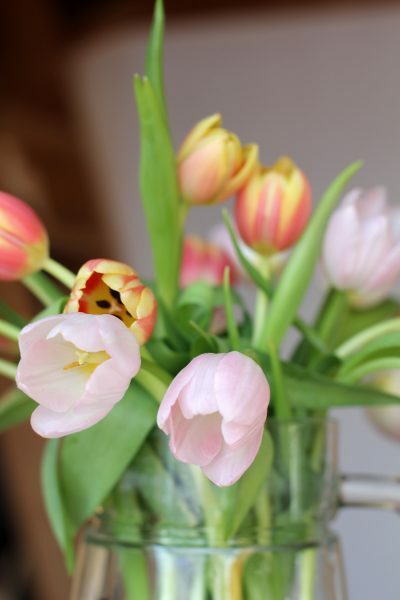 Ahhh what a gorgeous giveaway!! 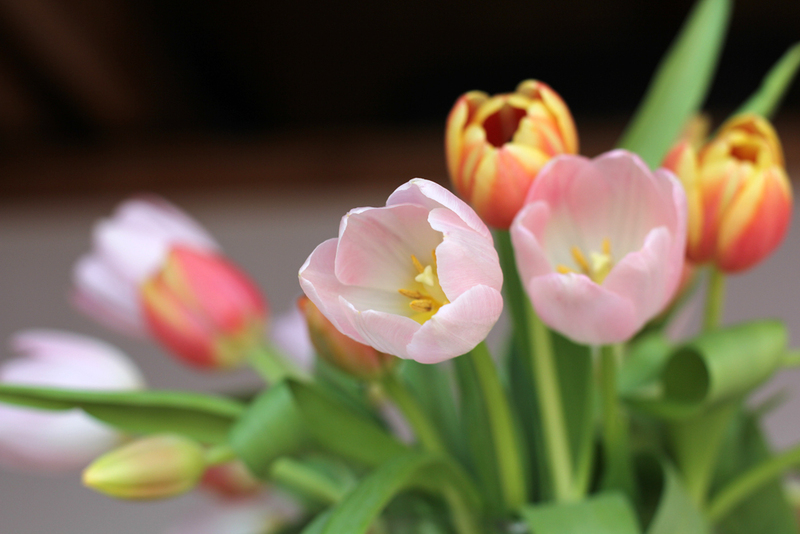 Wishing you a lovely Easter!! Adorable! 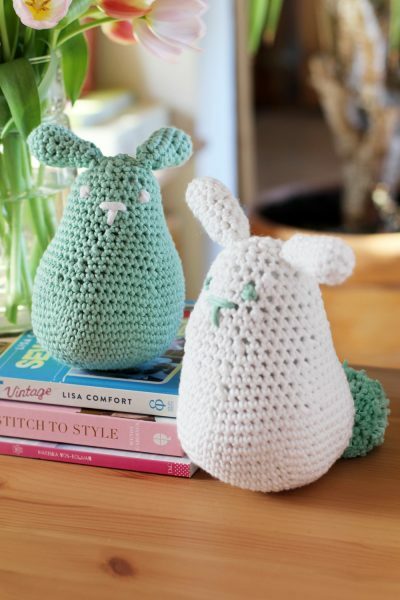 I’m new to crocheting so would be a good challenge! Spearmint green and white is my fav. Your bunnies are fab! The tension is always an aspect when you first knitt or crochet, I love crochting and find it more flexible designeise than knitting. Powder blue yarn is really appealing to me. Yay to cute beautiful bunnies! 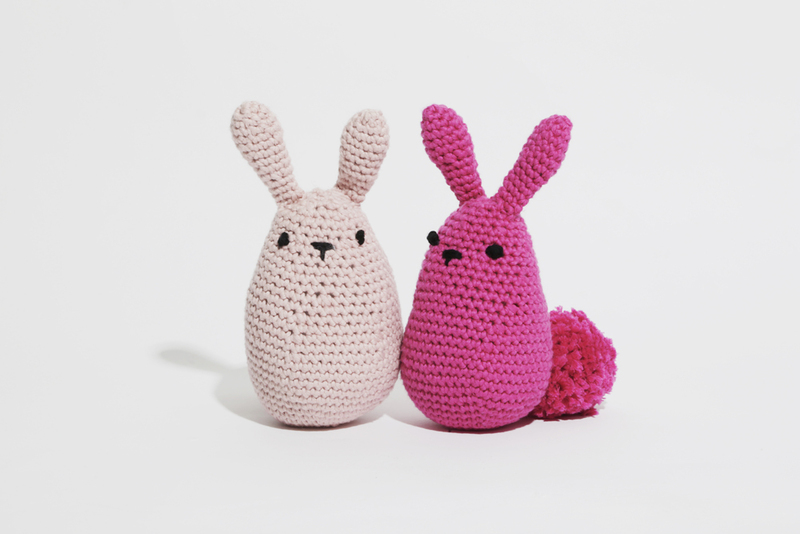 My small girl would be besotted with a hot pink bunny! And who can blame her? I love bunnies and these are super cute. 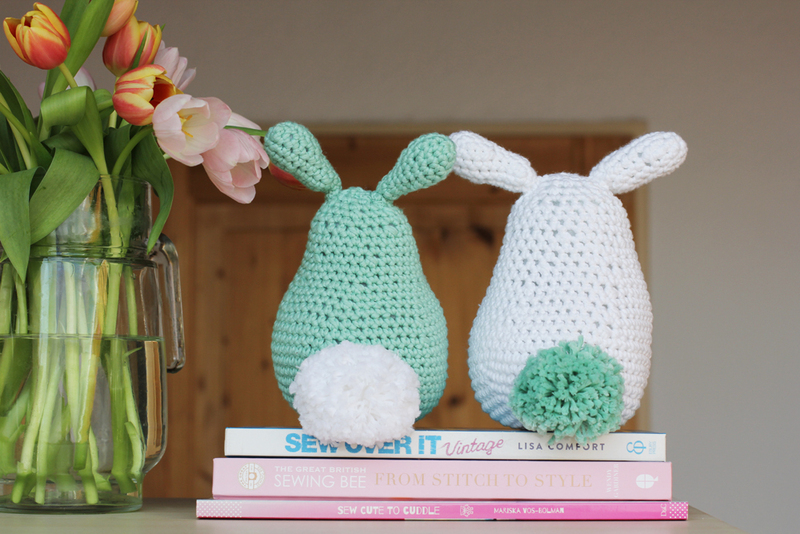 I think they’d be a nice little project to help me get started with crocheting as I’d love to learn. Colour wise, I’d go for Land of Oz.